When challenges arise in your life, what happens inside of you? For many of us, the larger the problem, the more we resist, contract, and react unconsciously. On the other hand, explains Eckhart Tolle, in any given moment we have the chance to remain open to life, align with what is, and experience the natural sense of peace and aliveness that he calls the joy of being. The Joy of Being is a nine-session program that explores the process of awakening to our identity beyond the limits of thought, and the impact this transformation can have in the world. Speaking after a three-year teaching hiatus, Eckhart helps us release past conditioning to experience ourselves, our life circumstances, and each other with a renewed perspective and sense of delight. In this program, Eckhart discusses how through the recognition of our unconscious assumptions and the discovery of the limitless depths of the present moment, we can ultimately find in ourselves what we have been seeking from the external world. We naturally become vessels for the emergence of a deep, spacious consciousness that realizes itself through ourselves and those around us. 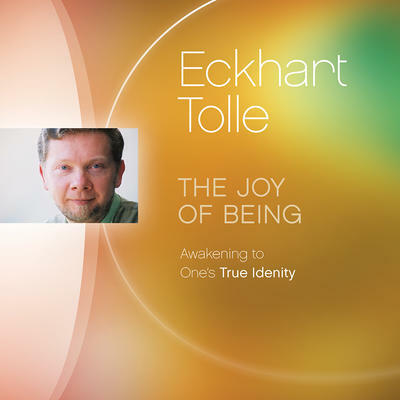 The joy of being is derived not from something that happens, or from some object, but from the essence of who you are, teaches Eckhart. To know yourself as that is joy. The Joy of Being points to a revolutionary phase in human developmentwhere thinking is no longer the dominant aspect of our lives, and unconditioned awareness expresses itself through and as each one of us.